This small portable dark room with long wave U.V. tube and shortwave U.V. Tube or ultra voiled radiation. Offering you a complete choice of products which include Automatic Under Vehicle Screening System such as Automatic Under Vehicle Inspection System, Under Vehicle Screening System, Under Vehicle Inspection System and Under Vehicle Explosive Detector. 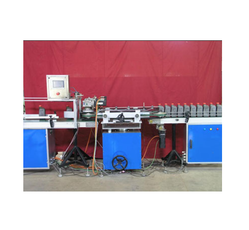 We have a proper team to do the inspection for various vendors of fabrication and other jobs to get a proper quality control according to the specification or fabrication details. 100 % Inspection 100 % of the Time. Inexpensive inspection systems and software, which can solve acute testing and measuring problems. These systems can also be flexibly expanded. 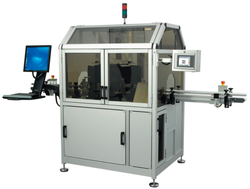 This auto inspection system is specially designed for Gasket between 8 – 16 mm diameter, which will inspect all kind of surface defects like dent, scratch, pits, rust for both sides and also part mix-up with high speed.